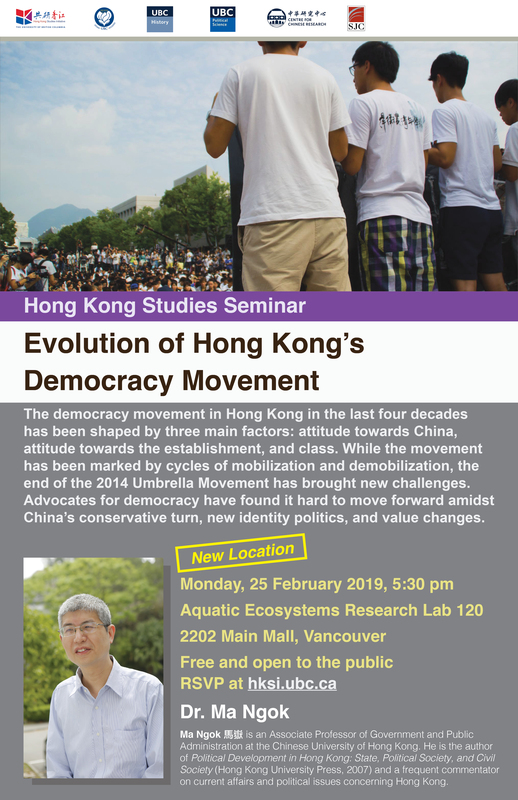 The democracy movement in Hong Kong in the last four decades has been shaped by three main factors: attitude towards China, attitude towards the establishment, and class. While the movement has been marked by cycles of mobilization and demobilization, the end of the 2014 Umbrella Movement has brought new challenges. Advocates for democracy have found it hard to move forward amidst China’s conservative turn, new identity politics, and value changes. Ma Ngok 馬嶽 is an Associate Professor of Government and Public Administration at the Chinese University of Hong Kong. He is the author of Political Development in Hong Kong: State, Political Society, and Civil Society (Hong Kong University Press, 2007) and a frequent commentator on current affairs and political issues concerning Hong Kong. 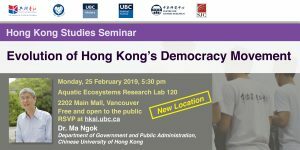 This public seminar is organized by the UBC Hong Kong Studies Initiative and co-sponsored by: Department of Asian Studies, Department of History, Department of Political Science, Centre for Chinese Research, and St. John’s College. Registration for this event is now closed. 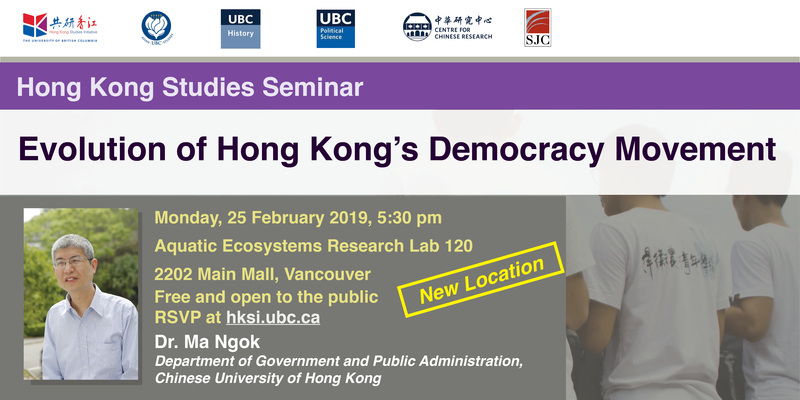 To find out if it is still possible to attend, please send an email to hksi.ubc@ubc.ca.